I feel like all I've done this month is go on about Marfan Syndrome and my experience with it but I really wanted to do a post that was more general today, more of an insight into what life is like living with a rare disease, because today is Rare Disease Day. February for me has been all about specifically raising awareness of my condition but today is all about informing and educating people about rare conditions in general. Each year there are also specific themes to go alongside the day and this year's is research, quite an appropriate topic for me right now as research has impacted my life in several different ways recently which I'll talk about a little later on. 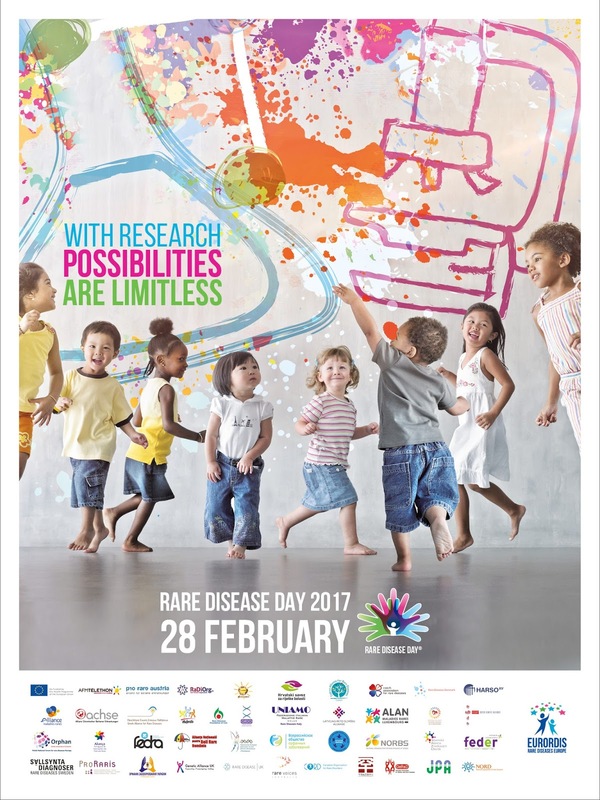 So, what is Rare Disease Day? It takes place every year on the last day of February and the main objective of the day is to raise awareness of rare diseases and their impact on patients' lives. The campaign mostly targets the general public but it also strives to raise awareness amongst public authorities, researchers, health professionals and just anyone with an interest in rare conditions. As I said every year there is a theme and the slogan to go along this year's theme of research is 'With research, possibilities are limitless'. Research is so vital and this can be seen especially well when it comes to rare diseases that often don't gain the same publicity as well known conditions. Whilst funds for rare disease research has increased in the past years we still have a long way to go and us patients rely on there being researchers out there that are passionate and willing to help us. Many of us also rely on medications and treatments to live our daily lives and none of that would be possible without research so it really is so important. Personally I've had quite a big connection with research in the past 6 months starting with when I started working with The British Heart Foundation last year. They amazingly funded some research into my condition Marfan Syndrome and I found out about it through them wanting a personal story to go out with it in their press releases. I remember finding out about the research and being on the edge of crying because I was so happy, finally we had some progress thanks to a group of people who had a genuine interest in helping people with the condition. The research is to do with the life threatening heart problems that can affect people in Marfan and the results might lead us closer to developing medication to try and slow down or even stop these problems. Working with The BHF on it really helped me to appreciate research more and understand the importance of charities like them who fund studies that would probably have trouble finding funding elsewhere. More recently I've been involved with research as I'm a member of the new BHF patient advisory group. It's a role where myself and the other members will be going through the clinical studies funding applications that the BHF get looking for how good the plain english is and how much patient involvement there has been in the study, making sure that it also benefits those with cardiovascular disease. Together we answer questions that medical professionals often don't even think about because of our patient experience. I'm so glad that I'm able to connect with research in a more direct way and that my knowledge will influence the decisions that the professionals committee make about whether the studies should be funded or not. It really has opened my eyes further to how important research is and how passionate people are about it. Having a rare condition usually comes with a lot of unanswered questions so research and the people behind it really are so vital in providing answers to such questions, I've always found that the more I know about my condition the better and less worried I feel. 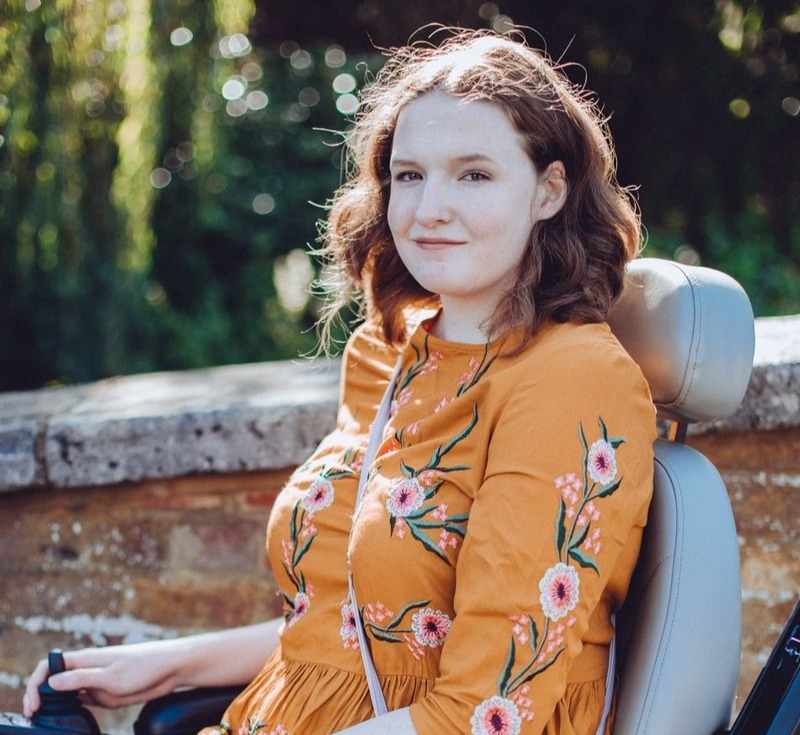 Having a rare condition isn't easy though and there are good days and bad days, I think most of us with such conditions have probably asked the 'why me?' question somewhere along the way. For me I have my bad pain days but I also have my bad mental health days where I get super frustrated about my health and often feel quite hopeless about the future. Having so many health problems that can't be fixed or cured can be really tough as well as emotionally draining. Often so many of us rare disease patients have to take things into our own hands, spending our free time researching into our conditions, treatments, surgeries etc. Surprisingly though there are positives and having a rare condition has enabled me to connect with so many different people, whether they have the same condition as me or a different one. I think you almost become part of a family, a group of people who understand and are always there to turn to when you're having a difficult day. We might not share the same conditions or symptoms but we share some of the same emotions and feelings that come along with an experience like this. Having a rare disease is an ever changing journey but you know that you aren't alone in it, a very comforting thought. You can learn more about my condition, Marfan Syndrome, on my information page and also head over to the Rare Disease Day website to learn more about how you can get involved today. I've really struggled with support for a couple of my conditions due to rarity and also being one of a kind. I'm thankful for rare disease day, though.. it really does highlight other conditions that are in need of funding. It brings us altogether as well, regardless of what condition we have!